Ganga prawahmarbhya yawat himat wanam Vishtarah shodashah prokto deshasya kulanandan." 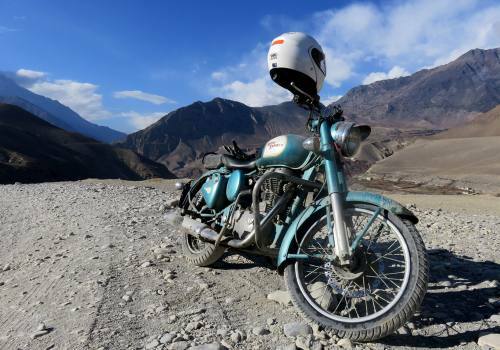 Means-it starts from Koshi River in the east to Gandaki River in the west measuring the distance of 96 kosh(192 miles) and from the river Ganga in the south to the forests of the Himalaya in the north measuring a distance of 64 kosh(128 miles). Madhya bahathi Laxman prabhriti se Mithila vityagara." means-the Ganga flows in the south and the kosi in the east.The Gandaki flows in the west and the Himalayan forest in the north covering the sacred rivers like the Kamala,Triyuga,Amrita,Ghemura,Bagmati and Laxman,that glorious aprt of Mithila is the home of learning. From the above definitions, the boundary of ancient Mithila extends into neighboring territory also. Even Indian scholars on Mithila acknowledge Janakpurdham to be the main center of Mithila. 1. Janakpurdham is birthplace of Janaki or Sita, daughter of King Janak, who married lord Ram after breaking the divine bow of Shiva at a tournament organized by King Janak. 2. Dhanushadham, near Janakpurdham, possesses a fossilized fragment of that broken bow. Lord Ram had broken Shiva's divine into three pieces, a condition for winning the hand of Sita in marriage. Every Sunday in the month of Magh (January/February), a Makar Mela (fair) takes place-a tradition that has not been broken since Vedic times-and devotees from Nepal and India in their tens of thousands flock here to pay homage to this place. 3. Out of the six philosophies on Aryan culture, Sankhya, Vaisheshik, Nyaya and Mimansa are contributions of this ancient land, which were formulated between 1000B.C. and 600B.C. 4. During the Upanishad period, this sacred land was the center of Aryan civilization, culture, philosophy, ideology and learning, and people from different parts of the world come to Janakpurdham to learn from King Janak, who was also regarded as Brahmarshi. 5. Sage Yagyawalkya had written the most famous epic Shatapatha Brahman after the Rig Veda on this auspicious land. Besides him, great saints and personalities like Ashtawakra, Gargi and Maitreyi had disseminated knowledge from this very sacred land. 6. 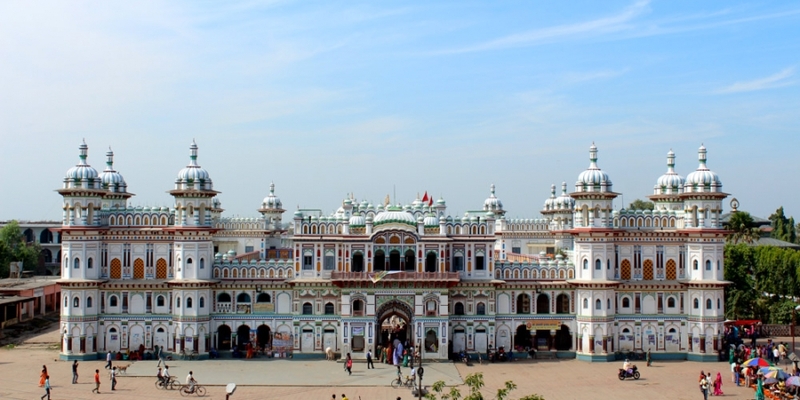 The biggest temple of Nepal, Shree Janaki Mandir, lies in Janakpurdham. 7. The only railways of Nepal, Janakpur Railway, continues to operate on its narrow tracks. 8. Janakpur Cigarette Factory, the biggest cigarette factory in Nepal, is in Janakpurdham. 9. At least half of a dozen major festivals such as Jhoola, Durga Puja (Dasain), Chaath, Mithila Madhya Parikrama, vivah panchami and Ram Nawami are celebrate with great fervor in Janakpurdham. Apart from these major festivals, the two ekadashis, 11th day of the lunar fortnight, and poornima, or ful moon, are observed during which thousands of visitors from Nepal, India and even abroad attend Janakpurdham. 10. Janakpurdham is the world's only city having more than 115 ancient ponds of historical and mythological importance. The Mithila region prides itself in having the largest number of ponds in the country. Within Nepalese Mithila, there are nearly 2000 villages, each of which possesses no less than four ponds. 11. The mango orchards of Janakpurdham could be of great attraction to the visitors. His majesty King Bhumibol Adulyadej of Thailand in his book-The Story of King Mahajanaka has described the passion of having mangos from the garden, which indicates that Mithila had special fruit gardens during ancient times. 12. The city is located in the Terai region of Nepal and is the administrative headquarters of Dhanusa district. Every year, Janakpur sees thousands of tourists throng its borders, as pilgrims from all over the world come to step foot in this holy city. The pleasant weather, the grand and colorful festivities through the year, the stunning architecture of the temples and the friendly locals make Janakpur a favorite spot for tourists and pilgrims alike. Get Day tour plan to Janakpur from Kathmandu. Same Day statrs from Kathmandu and return back to Kathmandu after visiting major places of Janakpur (Janakpurdham) and Dhanushdham. SHREE JANAKI MANDIR: This magnificent temple was built in 1874 A.D.by Queen Brishbhanu Kunwari, wife of King Pratap Singh of Orchha Kingdom of Madhya Pradesh, India. This temple takes inspiration from Moghul architecture and is the biggest temple of Nepal, covering an area of 265 multiplied 187 square feet. On the four corner of this temple, cupolas enhance its architectural supremacy. The middle portion of the east side is known as the "Sheesh Mahal".And at the center of the inner part where the idols of Sita and Ram are housed is called Janaki Mahal. Behind the Janaki Mahal is the Janak-Sunaiyana Mandir, dedicated to the father and mother of Goddess Sita. The whole temple complex is also locally known as the Naulakha Temple as nine lakh rupees, or Rs.9,000,000-a colossa sum of money then-were said to have been spent in the construction of the Janaki Mandir. On the premises of Janaki Mandir, in the northeast corner lies the Laxman Temple, while the magnificent Vivah Mandir lies to the midst of a beautiful garden. In the southeast corner is a park while a dharmashala (rest house) stands to the south of Janaki Mandir. Prayers are held in temple between 8A.M.and 9:30A.M., and 6:30P.M. And 8:00P.M., amidst the sounds of bells and drums. During Dashain, in September-October, hymns are sung and prayers are offered to Goddess Durga which also known as Durga Pooja. This pagoda temple was built in 1782 by Amar Singh Thapa, while its gilded roof was bestowed by Rana Prime Minister Chandra Shumsher in 1907.This temple, which lies on the western banks of the holy Dhanush Sagar and to the southwest of Shree Janak Mandir, abounds in ancient idols. The modestly quaint temple is flocked by pilgrims during the occasion of Ram Navami and Dashain which are sacred and important annual festivals dedicated to Lord Rama. The opulent temple is a perfect attraction for those interested in exploring ancient cultures and experiencing its divine vibe. Ramayana, a poem of two soul mates, Sita and Ram, is often a reminder of Dharma and Dharmic Living. The couple who was meant to be together for life was separated by a demon of a King, Ravana, who wished to acquire Sita and make her his own. The poem was written by Sage Valmiki and narrates how Ram fought Ravana and rescued the love of his life. It is treated as an ancient epic and positions Sita and Ram as the Goddess and God not just because of their love for each other but also for their loyalty, purity and their ability to become supreme beings. All this put together with other sacred beliefs form an integral part of the Hindu Culture. Therefore, Lord Ram is also worshipped along with Goddess Sita at her place of birth at the Ram Mandir which is located in a pleasant courtyard near the enchanting Janaki Temple. The temple of patron deity of King Janak, Goddesses Raj Devi or Rajeshwari, lies on the north side of Ram Mandir in another compound, where during Dashain festival, special worship is held in the morning and evening by devotees from Nepal and India. Local organizations make arrangements for this grand worshipping rituals. According to tradition, thousands of goats are sacrificed during Asthami-Nawami (eighth and ninth day of dasain)in the Janakpurdham area. One of largest temples of Rajbiraj, it is also accompanied by another temple beside it. The Chitragupta temple that lay on the right side of the temple itself is unique as the temple of Chitragupta is quite rare to find. It is said that while digging the place where the temple stands today, people found one pen along with Chitragupta. The pen is believed to belong to Chitragupta who is responsible for keeping the records of the people and their deeds while they lived on the earth. The pen is kept on auction every year and the highest bidder gets to keep the pen for a year. Besides the goddess, the statues of other gods like Lord Shiva, Ganesh, Vishnu were also found while digging and are enshrined in the temple. Devotees, not only from Rajbiraj but also from surrounding areas and most of the places of Nepal come to the temple to worship the goddess. There is also a podium for marriage (Vivaha Mandap) in the temple premises where the marriage ceremony is conducted.Rajdevi temple holds great historical, religious and cultural significance, not only in the life of people living in Rajbiraj but in life of those living in other areas as well. However, the place and the temple is not so popular like other temples because of inefficiency of the government in its promotion. Nevertheless, the temple holds high religious, cultural and historical significance in Rajbiraj and the people living there. This temple at Janak Chowk is dedicated to King Janak renowned for his scholarship in that age. He was also regarded as"Videh"or someone without a body. Though this temple is comparatively small, it has held great importance in popularizing Janakpurdham as the ancient capital city of Vedic Mithila Kingdom. This temple lies to the west of Ramananda Chowk,where a magnificent gateway stands with an idol of Shankaracharya on top. The temple enshrines the idols of Goddess Sita and Lord Ram dressed as bride and bridegroom. This place of mythological importance lies 20km to the north of Janakpurdham. It was heard that a fragment of Shiva's divine bow fell after Lord Ram broke it into three pieces during the Bow-Breaking ceremony held at Rangabhoomi in Janakpurdham-a condition for obtaining the hand of Sita in marriage. During the Makar Mela festival held every sunday in the month of Magh (January-February),hundreds of thousands of devotees throng Dhanushadham to pay homage to the fossilized bow piece. This temple is close to Ramananda Chowk on the main highway to Jaleshwor. Though this temple is not very big, it once drew large crowds of devotees because of the world's largest monkey, locally worshipped as Baua Hanuman,made its home here. Babua Hanuman likes to be called "Babua," meaning "baby." She was brought to the Hanumat Durbar temple in Janakpur by local physician Dr. L.N. Jha when she was merely three months old. The Janakpur-based Triflorous Explorers Association declared on September 10, 1991, that she was the largest monkey in the world, with a weight of 55 kg and height of 40 inches. However, we didn't find her in the Guinness Book of World Records. Devotees have reported that sometimes Babua Hanuman "grows" to the height of five feet and her hand "stretches" up to three feet. This temple lies in Jaleshwar,the headquarter of Mahottari district,18km to the southwest of Janakpurdham.The temple enshrines a Shiva Lingam 20ft.below the surface.The phallic symbol of Lord Shiva lies immersed in water,hence its namesake.The temple draws large numbers of devotees from both Nepal and India on Shivaratri,the night of Lord Shiva,in February and also during the month of shrawnan(July-August). This mythological garden in Mithilanchal dates from the 5th centurary,where the legendary hero Salhesh used to take a stroll with his beloved Deena Malini,the princess of Morang and daughter of King Maheswar Bhandari.The garden,rectangular in shape,covers an area of 14acres.This garden is densly forested and lies 65km from Janakpurdham to the northeast.Thegarden has a temple dedicated to the folk hero,Salhesh.Behind the temple is a treenamed Haram which sprouts only one flower on the night of Chaitra30(mid April).A big fair takes place here which sees thousands of visitors from Nepal and India.It is said that Deena Malini makes her affection for hr love,Salhesh.Folklore has it that Salhesh used to pick flowers from this garden to make offerings to the deities.Near the garden are several places of mytholigical importance,such as Mahisautha,Pakariya,Kamaldah,Manikdah and Patari Pokhari. This temple is dedicated to Hanuman,the most loyal attendant of Lord Ram and Goddess Sita.Hanuman,the son of the Wind God,is also known by the name -Sankat Mochan,or redeemer of all woes.This temple lies in the northwestcorner of the mythological land called"Rangabhoomi",also known as 'Barah bigha'as it is 12bighas in area.This Hanuman temple sees thousands of devotees twice a weekon Tuesday and Sturday. It is also called by Matihani Mandir.This temple lies on the north bank of the huge Laxmi Sagar pod.It is 6km from Jaleshwar to the south.It was said that in ths pond the Matakor(soil digging ceremony)was performed before the marriage of Ram and Sita.There is also Laxmi Narayan Temple in the area.Another temple here is known for an iron strapused by a hermit salles Tasmaiya Baba,with engravings on its dating back to about 450 years. 1.GANGA SAGAR: Any pilgrimage is incomplete without a ritual bath in this pond which has never dried up. According to popular belief, water from the Seven Seas and all sacred places were collected, and this sacred pond called Ganga Sagar took shape. 2.DHANUSH SAGAR: This pond lies in front of Ram Mandir. It is said that the bow which Lord Shiva had given to King Janak during the Treta Yug was kept at this place for safe keeping, and the pond was built in the shape of the weapon. 3.ANGRAG SAR, locally called ARAGAJA: This pond lies north of Janaki Mandir. Goddess Janaki, or Sita, used to bathe in this pond after smearing her body with turmeric cream. It is said that a dip in the pond cures one of skin diseases. 4.MAHARAJ SAGA R (DAS HARATH TATAB): This pond lies about 200 m to the west of Shree Janaki Mandir. Sage Parshuram is said to have been absolved of his sin of matricide after taking a dip in the pond. Later Lord Shiva, too, was pardoned for killing Parshuram after a ritual bath in this pond. The temple of King Dasharath, father of Lord Ram, lies on the west bank and the office of the Greater Janakpur Region Development Council on the north bank of this pond. 5.RATNA SAGAR: This pond is to the northwest of Rangabhoomi and Ramananda Chowk. It is said that King Janak used to store jewels in this pond. People say that the bow turns a shining red when observed from one corner of the pond while it disappears after prayers and lighting of the ritual flame by the priests of the local temple. 6.KAPALMO CHAN SAR: This pond lies to the northwest of Maharaj Sagar. According to legend, Lord Brahma found himself greatly attracted to his own daughter, Saraswati, Goddess of Learning, who then had to seek refuge with Lord Shiva for protection. Lord Shiva, in his Chhat festival 11 wrath, beheaded Brahma, but the head got stuck to his hand. It was only after Lord Shiva took a dip in this pond that the head of Brahma got detached. 7.BIHAR KUNDA: This pond lies to the southwest of Rangabhoomi and Ramananda Chowk. Even after her marriage to Lord Ram, Sita, with her sisters and friends, used to frequent the pond for a bath. The water of this pond is so clean that the people drink straight from it. 8.AGNI KUNDA: This pond lies about half a kilometre to the southwest of Ratna Sagar, where yagyas (offering made to a sacred fire) used to take place during Vedic times. Although comparatively small in size to other ponds, it is very deep. 9.PAD PRAKSHALAN SAR: This pond lies to the south of Shree Janaki Mandir. King Janak and Queen Sunaina are said to have washed the feet of Lord Ram with water here at the time of the wedding. It was only later that a pond took shape. 10.PAP MOCHAR SAR: This pond is located at Pidari Chowk. A ritual bath in this pond absolves one of all sins. 11.BISHAHARA SAR: This pond lies to the east of the historical Tirhutiya Gacchi (Garden of Tirhut), once a large orchard of mangoes, rose apples, licchis and guavas in ancient times. A dip in this pond absolves one of all his sins. 12.JANAK SAR: It was in this pond that King Janak took his baths. 13.MURALI SAR: This pond is in the northeast direction of Vidyapati Chowk. Lord Krishna is said to have appeared thrice in Janakpurdham, where he played the flute (murali), hence the name Murali Sar. 1.JATA-JATIN: This dance is performed at night by a group of rural women in the month of Bhadra (August/September) when there is a drought. The women catch frogs and put them in small pitchers filled with a mixture of water and cow dung. The women divide themselves into two groups - one masquerading as the male, which is called ‘Jata’, and the other as the female and is called ‘Jatin’. The women then place the pitchers on their heads and go about the village, singing a song in question-answer form. At the end, they throw the pitchers into the courtyard of a person assumed to be evil-minded, and then disperse. The cultural dance is performed with the hope that there will be rain. 2.JHIJHIYA: This festival (on the 6th day of the bright lunar fortnight in Kartik) is the most auspicious festival of Mithilanchal. (Another dance worth watching is performed by a group of women every year in the month of Ashwin (September/October) during the Dashain festival from Ghatasthapana to Vijaya Dashami.) In the Jhijhiya dance, some women place pitchers, with a burning lamp inside, on their heads. The pitcher has a large number of holes, and should anyone be able to count the exact number, it is believed that the vessel will catch fire, and the woman carrying it will die. The singing and dancing go on for hours, with groups of women taking turns to carry the pitchers. 3.SAMA CHAKEBA: This is a play performed by the rural women of Mithilanchal for a fortnight, starting on Chhath in the month of Kartik (October/November) and lasting till the full moon. Through this play, women express their affection to their brothers. Every evening, women leave their homes with dolls in a bamboo basket, in the middle of which they place a burning lamp. They gather at a certain crossing and sit in a circle, singing till midnight. On the final night, they burn the moustache of ‘Chugla’, the evil doll. The dolls are then disposed off amidst the playing of such musical instruments as drums and the flute in the presence of their brothers. 4.JHARRI: This play is performed at the time of ‘Hanuman- Jhand’ (celebration commemorating Lord Hanuman’s flag) and ‘Daha’ or ‘Tajiya’ (Muslim rituals). About 10-15 men perform this dance with a stick that is about 18 inches long. The singing and dancing go on for hours. 5.LO KA SANKIRTAN (Devotional songs): The devotional songs teach us about morality and fraternity while creating awareness about human life. About 15 male singers sing the devotional Unique cultural dances of Janakpurdham 14 songs accompanied by such musical instruments as the harmonium, dholak (drum), gumti (onesided small drum), bastarang (musical instrument made of bamboo strips), jhals (cymbals) and other instruments.There are four types of Loka Sankirtans. a) General Loka Sankirtan - Sung in a group and accompanied by music. b) Jhanki Loka Sankirtan - Devotional songs are sung to the deities that grace a platform. During the singing, offerings are made to the deities. c) Bishaya Sankirtan - Team members follow the lead singer. The hymns could last hours. d) Jhanki Vivah Sankirtan - It enacts the scenes of the wedding ceremony of Goddess Sita with Lord Ram. Despite the difficulties, the rural women of Mithilanchal have preserved this tradition that date from the Treta Yug. LEELAS (episodes from the lives of gods): Among such episodes staged, ‘Ram-Leela’, ‘Krishna- Leela’, ‘Ras-Leela’ and Shiva-Leela’ are very popular, but ‘Ram-Leela’ tops the list. It lasts upto a month, and during the period, the entire episodes of the Ramayan are presented on stage by group artists. 6.FOLK DANCES AND DRAMAS: Mithilanchal has been the centre of folk dances and dramas since the 5th century. It is said that in birth, life and death, music never abandons a person in Mithilanchal. Some of the ancient dances are the Badhaiya Nach, Pamariya Nach - both of which are performed within a month of birth - Chhaukarbaji Nach and Ras Nach. Among the folk dramas, the most ancient are Salhesh, Gopichan, Bharthari (Bratihari), Saranga-Sadabriksh, Mahasti Bihula, Bideshiya, Hirani-Birani, Dulara Dayal, Naika-Banijara and Domakacha. These folk dramas have been handed down through word of mouth. Besides these dramas, there are Nautankis (light dramas) which are heroic presentations. Among them are Amar Singh Rathour, Laila-Majnu and Shiri-Farhad. These Nautankis performed on stage are accompanied by music played on one big drum, three small drums along with the harmonium and other musical instruments. 7.MITHILA PAINTINGS & FOLK ART: Mithila paintings are renowned the world over. There is a painting centre at Kuwa, Janakpurdham, where nearly five dozen rural women from different villages are involved in preparing paintings of Mithila folk art for export to Western countries and other markets. You will find Mithila paintings on the mud walls of rural homes, which are done by housewives. These mud wall paintings are done using local lime, ochre (locally called geru), and brown and black soot collected from the bottom of pots and pans. 1.Baisakh 1(Mid-April): SATUAIN-People offer flour of sweet grams to deities and after they that,they take that as food of the day.Legendry folk hero Salhesh is worshipped at 'Salhesh Phoolbari' near Lahan in Siraha district,and visitors from different parts of Nepal and India participate in tht cultural fair. 2.Baisakh 2: JUDASHEETAL-Early in the morning,the head of the family pays homage to the forefathers by offering water in their name.They thenbless the youngstersof the family by sprinkling water fro a lota(vessel)on their heads.The family head also sprinkles water onto heads of youngsters of the village with the hope that the heat in the plains will not affect them.People clean the wells in the village and sprinkle lime so that water is fit for drinking.In the morning,the male membrs will not take thei meal at home. In the afternoon,the Salhesh Mela takes place at Salhesh Gahwars.In the evening,the folk drama 'Salhesh'is staged. 3.Jeshta(May/June): In this month,Ganga Darshahara and Batasabiri festivals are celebrated. 4.Ashad(June/July): Adra,Nagar Dihawar Poojan or Brahma or village godare worshipped by the villagers of Mithilanchal. NAG PANCHAMI-In a easy trem,this festival is worshipping of the snake.It is marked throughout Mithilanchal by offering milk and rice to Nagdevata. JHOOLA-Jhoola means ritual of placing Lord Ram and Goddess on a swing which starts from the third day of the brightening lunar fortnight in the main temple of Janakpurdham admist cultural programmes.It is performed daily till midnight and continues till the 14th day of the lunar fortnight. RAKSHA BANDHAN-It is marked on the full moon,or Poornima,the following day,during which sisters tie the sacred red/yellow thread on the right hand of their brothers.The people receive the sacred thread from their priests. GHARI-This festival is celebrated in the villages,during which sweets are offered to the people after the worshipping of deities. KRISHNASTAMI-It is marked with great devotion in Mitilanchal.Idols of Lord Krishna,Bsudev,Yasodha and others are made and worshipped for two days.On the second day,they are disposed off in the pond. HARITALIKA TEEJ-It is a three-day festival observed by women foe the well-being of their husbands and a happy,productive marriage.the festival ends on the fifth day of the brightening moon. CHAURCHAN or GANESH CHATURTHI-This festival is obesrved in the rural areas throughtout Mithilanchal.For a whole day,people go on a fast.In the evening,different types of food items,including sweets,fruits,pudding and curd ard first offered to Lord Ganesh and the moon.Then the people eat the food as prasad to break their fast.The prasad is also offered to friends and neighbours. PITRIPAKSHA-The ritual is performed by the sons during the dark fortnight of Ashwin to pay homage to the deceased ancestors. JITIYA-It is fasting observed by all mothers for the well-being and a properous life of their issues. DASHAIN-It lasts for 10 days,during which idols of Goddess Durga,Laxmi,Saraswati,Kali,Lord Ganesh,Kartikeya and Rewanta are made from clay by idols makers at the local Durga Temle.prayers are held both in the morning and the evening,and after the worship,prasda is distributies to the people that has been offered to a deity. RAJDEVI POOJAN-In proper Janakpurdham,Raj Devi,the patron deity of King Janak,is worshipped with great favour.On the night os Ashtami,or the eighth day of Durja Pooja,thousands of goats are sacrified at this temple. 8.Kartik(October/November): DEEPAWALI-It is celebrated by worshipping Laxmi,the Doddess of wealth,with great devotion throughout Mithilanchal. GOBARDHAN POOJA and BHRATRIDWITIYA are observed on the following days respectively. CHHATH-It is celebrated six days after Deepawali with great devotion and in solemnity.during the celebrations,there is harmony in the air,and no distinction is made between ric,poor,caste,creed and colour. DEVOTTHAN EKADASHI-It is observed by the devotees on the 11th day of the bright lunar fortnight. SAMA CHAKEWA-It is play through which the women express their affection to their brothers. 9. Mangsir(November/December): NAWANNA-The festival of new harvest,is celebrated to make offering of new grain to the deity. THREAD OF SUN ritual is celebrated by women. VIVAH PANCHAMI-It is the commemorates the wedding ceremony of Ram and Sita and is marked on the fifth day of the lunar fortnight of this month.A marriage proccession is taken out from Ram Mandir to Janaki Mandir via Rangabhoomi,in which thousands of devotees participate. 10.Magh(January/February): At the beginning of this month,the Tilia Sankranti or MAGHE SANKRANTI is observed. MAKAR MELA is obsreved on all the Sundays of this month at Dhanushadham,a tradition that datesback to the Treta Yug. Devotees from Nepal and India in their thousands come here to pay homage to the remains of the fossilised bow of Lord Shiva that Lord Ram broke to win the hand of Sita in marriage. BASANTA PANCHAMI or SARASWOTI POOJA-The fifth day of the waxing moon of Magh is marked as Basanta Panchami,the advent of spring,as well as Saraswoti Pooja, the celebration of the Goddess of learning. 11.Falgun(February/March): Besides Mahashivaratri,MITHILA MADHYA PARIKARMA (fortnightly circumambulation of 14 pilgrimage spots stretching 127km)takes place every year during this month through democrated areas of Mithilanchal.The pilgrimage includes 14 places of historical and mythological importance,including four bordering Indian territory.It begins with Kanchuri village via Janakpurdham to Hanumangadhi,Kalana or Kalyanshwar,Girijastan,Fulhar(where Ram met Sita for the 1st time) in Indian territory,Matihani,Jaleshwar,Marai,Dhruva kunda,Kanchanban(where Ram and Sita had celebrated holi during the Vedic Treta Yug,Parwatta,Dhanushadham,Satokhair,Aurahi-Harusaha,Karuna,Bishaul and ending at Janakpurdham.The next day,this Antargrihi Parikrama early in the morning and celebration of Holi,the festival of colours. 12.Chaitra(March/April): RAM NAWAMI is celebrated to mark the birth anniversary of Lord Ram,the protagonist of the great Hindu epic Ramayan. 1.For tourist,the best time to visit Janakpurdham is from September to April when major festivals are held. 2.The month from May to Agust temperature raises upto 40 degree celsius. 3.There are regular flights to Janakpurdham from Kathmandu. 5.Janakpurdham has standers resturants where tourists can enjoy Mithilanchal food.